CHICAGO — Anyone who says that owning a Laundromat is “an easy way to make a living” believes in an industry “myth,” according to three-quarters of the store owners who took this quarter’s American Coin-Op Your Views survey. Twenty percent of respondents called the statement a “reality,” and the remaining 4.7% were unsure. 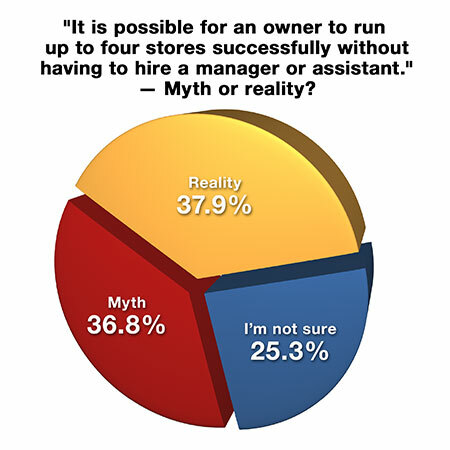 In terms of operational “myths vs. realities,” it’s clear that most store owners find certain commonly held beliefs to be myths. But the myth vs. reality debate is not always sharply defined. Respondents were split on the idea of an owner being able to run up to four stores successfully without having to hire a manager or assistant. Roughly 37% call it a myth, 37.9% say it’s a reality, and the remaining 25.3% are uncertain. “A well-kept laundry reduces your chances of being vandalized.” — 22.1% myth, 68.6% reality, 9.3% unsure. “Word of mouth is the best form of laundry advertising.” — 17.6% myth, 77.7% reality, 4.7% unsure. “Customers don’t usually comment/complain about vend price increases as long as you operate a nice store and give them what they want.” — 22.1% myth, 68.6% reality, 9.3% unsure. “It it beneficial to develop a cordial relationship with competing store owners from the same area.” — 11.6% myth, 62.8% reality, 25.6% unsure. 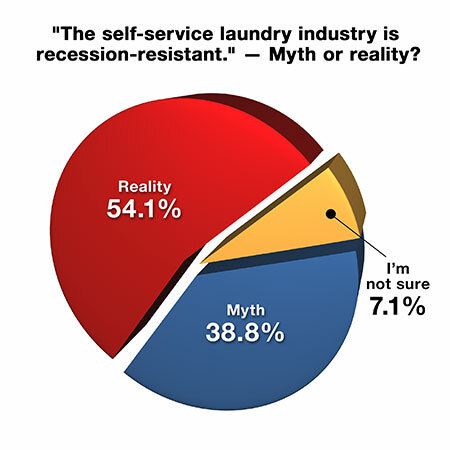 “Top loaders will be phased out of the self-service laundry industry in the next few years.” — 34.9% myth, 51.2% reality, 14.0% unsure. “There will be fewer, but larger, self-service laundries in the next decade.” — 23.0% myth, 54.0% reality, 23.0% unsure. “The dollar coin will have a major impact on our industry in the next five years.” — 44.2% myth, 25.6% reality, 30.2% unsure. While American Coin-Op’s Your Views survey presents a snapshot of the audience’s viewpoints at a particular moment, it should not be considered scientific. Qualified subscribers to American Coin-Op e-mails are invited to participate anonymously in an industry survey every quarter.